Here we are again...another Wednesday! I got these little flats at gap last year. They are fine for a couple of hours but they are miserable to wear any longer than that. It's like walking on cardboard, no support. Hey, they were really cheap. Here's what my hair looks like:) I really love it. I love it more the more I see it. There you have it! Another week! Happy Wednesday! Linking up with the Pleated Poppy. You look so young and full of energy! 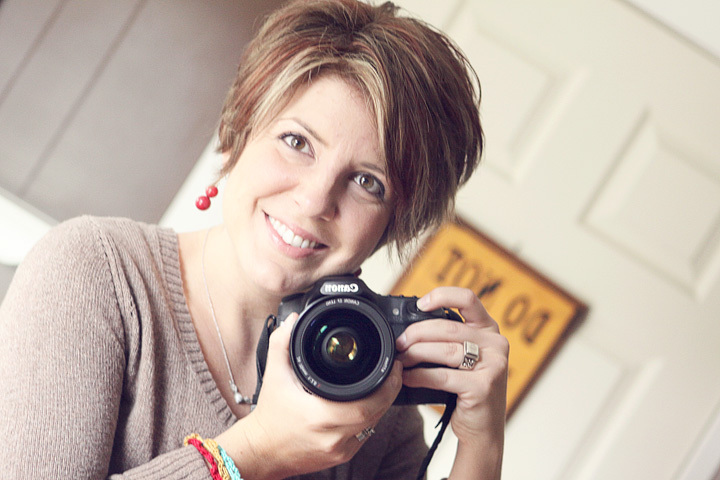 Have always loved your hair, but new cut is cute. May I say that I agree w/comments on the flats, but yellow is most definitely your color! 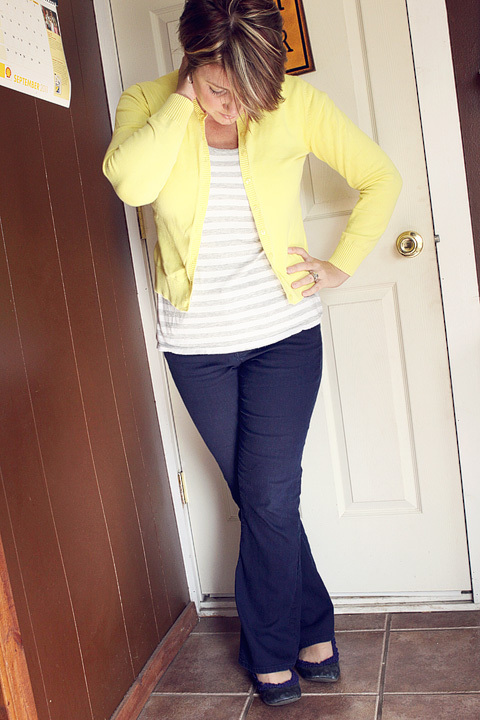 stopping by from wiww… love the stripes with the yellow cardigan over it! so cute! Your hair is super-cute…and so are your bright accessories! WIWW has made me a total bargain shopper too. I like having something new to offer each week!